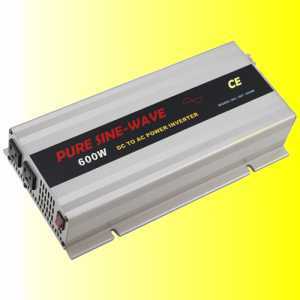 Inexpensive inverter rated at 150 Watts, 140 Watts continuous, 400 Watts surge. This small 150 watt inverter was designed to run televisions, video recorders, recharge small portable telephones and run most low power equipment. It is designed to be the lowest possible cost, while maintaining reliability and efficiency. It uses a cigarette lighter power point plug for ease of use. Standby Current 0.3A max. 0.25A max. Low cost. $12.19 in quantities of 5000. Minimum order 200 pieces. Samples available.